Markeya during her dialysis treatment. Growing up in Nashville, Tennessee, 29-year-old Markeya Douglas attended the First Baptist Church South Inglewood her entire life. As a youth, she watched people praise God and she was in awe of their testimony. So, when asked how she’s dealing with abrupt kidney failure and a life that now includes dialysis, she refuses to complain. Instead, she knows God is seeing her through her kidney journey. She is certain that her struggle will become a part of her testimony allowing her to praise God even more and witness to others. Markeya’s unexpected battle with kidney disease began in July 2017 when she visited an urgent care clinic thinking her tiredness was related to a sinus infection but instead learned her blood pressure was high. The next morning, her mother overhead her mentioning her high blood pressure and took Markeya to the emergency room. The emergency room doctor reviewed blood work and confirmed that Markeya had severe kidney disease. treatment options for kidney failure. (Left to Right) Markeya Douglas, Christa Lawson, Pastor Jonathan Trees, and Shannon Rappe’. As her kidney function was winding down, her family and friends were gearing up to support Markeya. 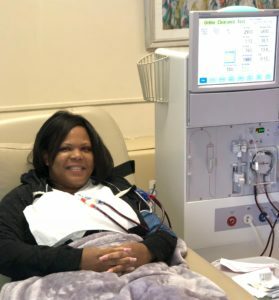 Her brothers volunteered to be her living kidney donor, but due to a genetic condition, they were both ineligible to donate. While additional members of her family were going through the screening process, her father decided they needed to turn to the church for help. REACH connected Markeya’s family with Pastor Jonathan Trees who’d had a similar event as his church. Christa Lawson, REACH transplant coordinator, explained the importance of a kidney champion at the event. 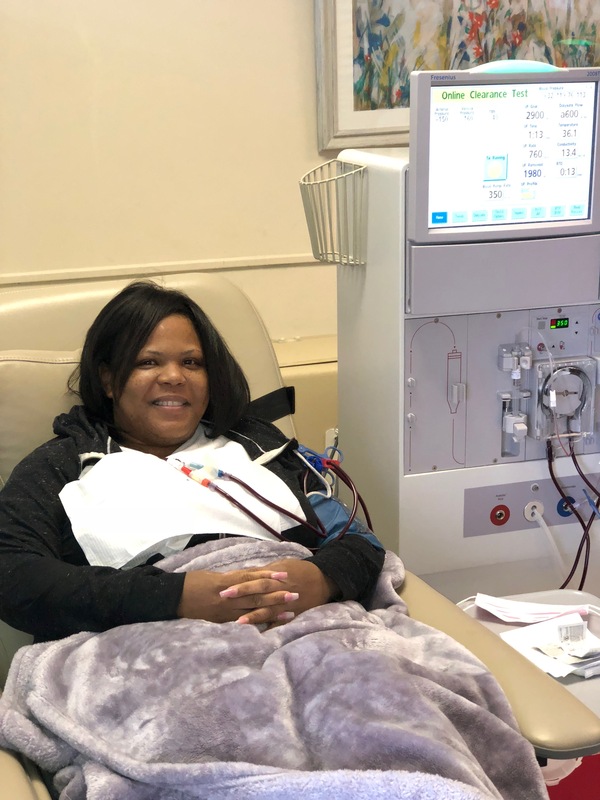 On Sunday, February 25, 2018, Markeya’s need for a kidney was made public at the First Baptist Church South Inglewood. Jasmine Hall, the wife of Markeya’s cousin Torrian, stood before the congregation and explained kidney disease facts. She also made a personal plea for the congregation to step out on faith and be tested. 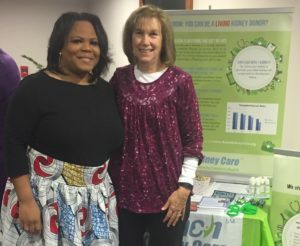 REACH Kidney Care was represented by Christa Lawson, transplant coordinator, and Shannon Rappe’, chronic kidney disease care coordinator. 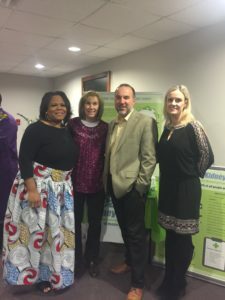 They hosted a table with kidney disease and living kidney donor information. At the conclusion of service that day, 19 members of the congregation signed up to be tested as living kidney donors for Markeya. Markeya Douglas is working with Centennial transplant center. She has type A blood. If you are interested in being tested as a living kidney donor, please call 615-342-5626.